Ronald Neumann, former ambassador to Afghanistan and president of the American Academy of Diplomacy, discusses the high-level staffing issues at the Department of State, and what is keeping diplomats from being appointed. Since the start of the Trump Administration, the State Department has been operating with half of its top-level positions unfilled. 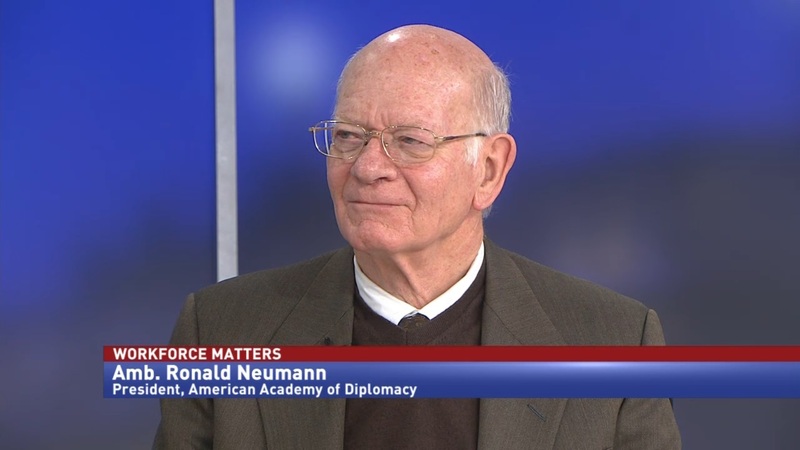 Ronald Neumann, former ambassador to Afghanistan and president of the American Academy of Diplomacy, says that while the career officials are handling things well, the agency needs more diplomats. Neumann said that multiple factors caused the slow start and the lack of progress in nominations, but the Senate is a key player in the issue.